The victim, a 63-year-old man, fell upon being punched and suffered a brain injury. A Mexican soap opera star was arrested this week in Florida after allegedly punching a man during a road-rage incident. The man fell and later died, according to authorities and a news report. 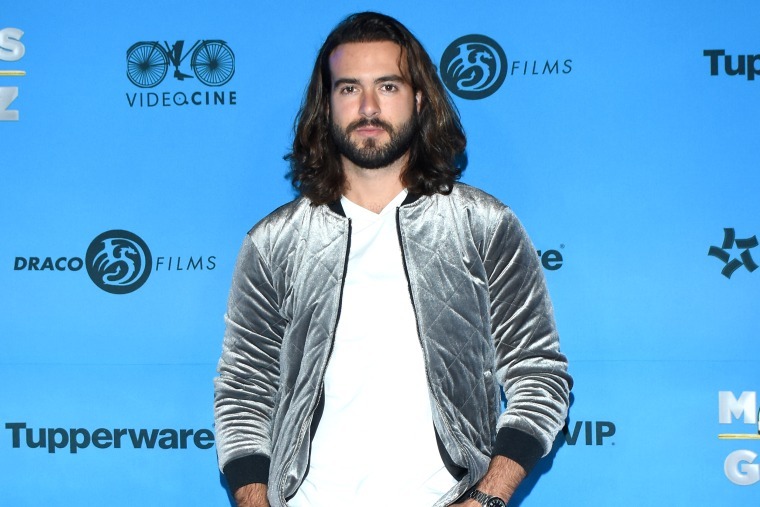 Pablo Lyle, 32, a star on the soap opera "Mi Adorable Maldición," was arrested by Miami police on Monday on a felony battery charge after he said that he punched the victim one time during a confrontation on Sunday, according to a police report. The victim, Juan Ricardo Hernandez, 63, fell upon being punched and suffered a brain injury, according to police and NBC Miami. He died on Thursday, NBC Miami reported. The Miami-Dade medical examiner's office confirmed a person named Juan Ricardo Hernandez died Thursday but said they would not comment further because the case was under investigation. A police spokesperson did not immediately respond to a request for comment from NBC News on Friday. NBC Miami reported that police said the case is now a homicide investigation. The incident unfolded at around 7 p.m. on Sunday after a vehicle that Lyle was in exited an expressway and cut off another driver's car. The other driver, identified by NBC Miami as Hernandez, honked at Lyle’s car, which was driven by the actor's brother-in-law and also had his brother-in-law's 6-year-old son as a passenger, the brother-in-law told police, according to a police report. Then, while at a traffic light, Hernandez allegedly got out of his car and pounded on the driver's side window of Lyle's vehicle, according to a police report. Lyle’s brother-in-law said he got out of his car and told the victim not to bang on the window, but then he noticed that his car was rolling forward and raced to stop it, the police report says. The brother-in-law said he did not see Lyle punch the other driver, but that Lyle ran up to the car afterward and told him to keep driving to Miami’s airport where they had been headed, according to the police report. Lyle told police that he was in fear for his family’s safety and confronted the other driver in order to protect them, the police report says. The actor also said that he threw the punch because the man had put his hands up and Lyle believed he was going to hit him, according to the police report. Witnesses also told police that the person who was punched had his hands up before he was hit, the report says. The actor was detained at Miami’s airport after the incident, police said in the report. Lyle told police that he was visiting the U.S. with his family and put them on the plane. He said he voluntarily stayed to talk to police, according to the report. NBC Miami reported that Lyle, who according to the police report is a U.S. citizen, was allowed to return to Mexico after posting bond. Lyle's attorney, Bruce H. Lehr, declined to comment on the case but said that his client would return to the U.S. for court and "is 100 percent available to the court as need be." Surveillance video obtained by NBC Miami appears to show a man approaching a red crossover-type vehicle and banging on the window, the driver getting out and the vehicle rolling away. Then another man — presumably Lyle — appears to confront the other driver and punch him. In the video, the man who is punched appears to fall partly over a low concrete median separating lanes of the street. Witnesses told police that they tried to render aid but the victim was unconscious, the police report says. Calls to phone numbers listed as possibly belonging to Hernandez' wife were not immediately successful Friday.